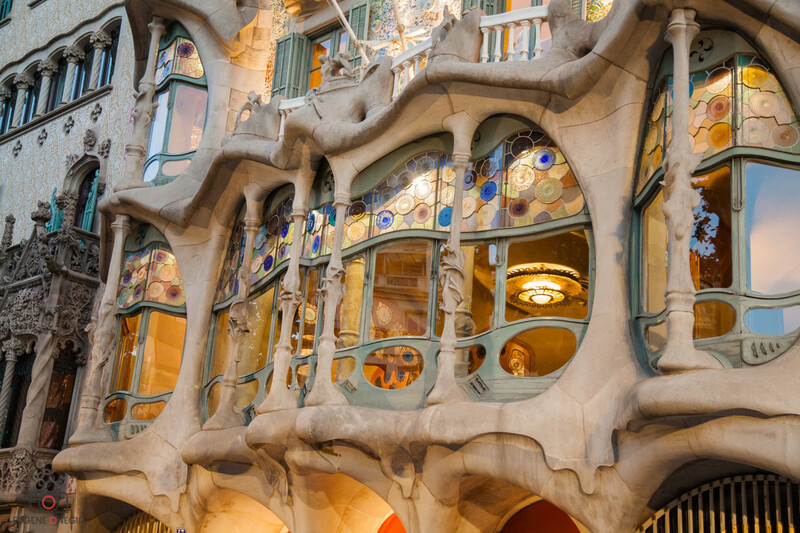 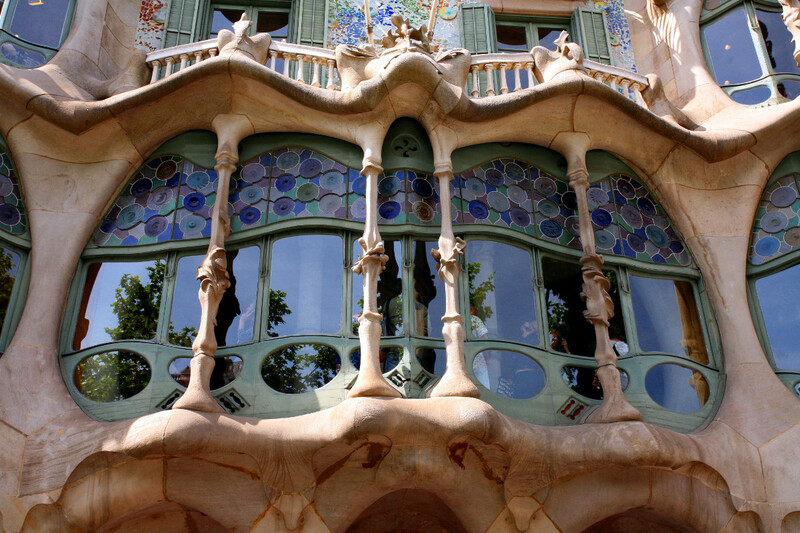 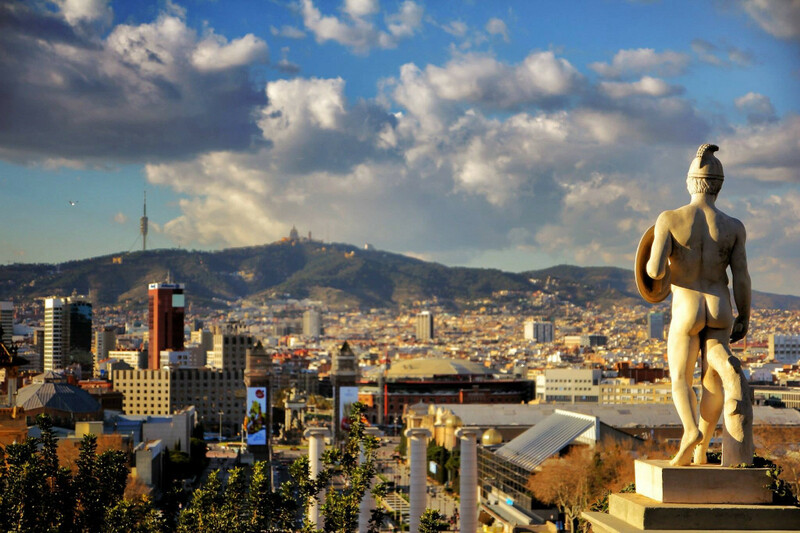 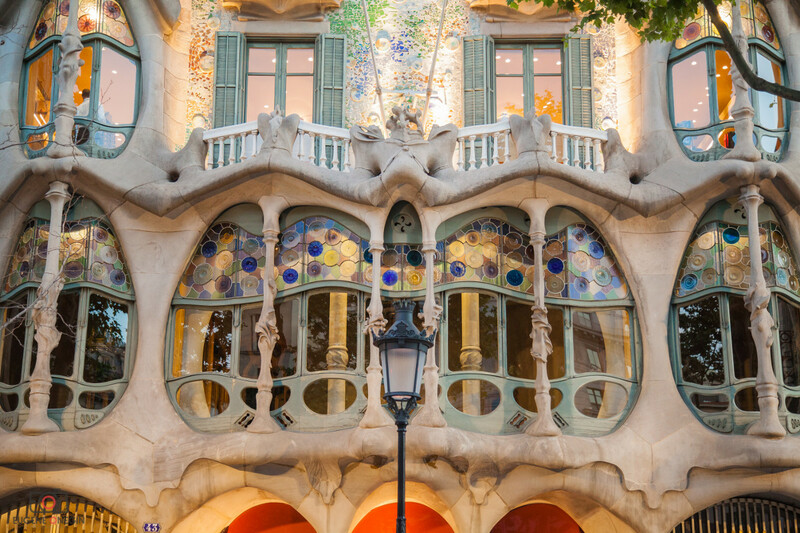 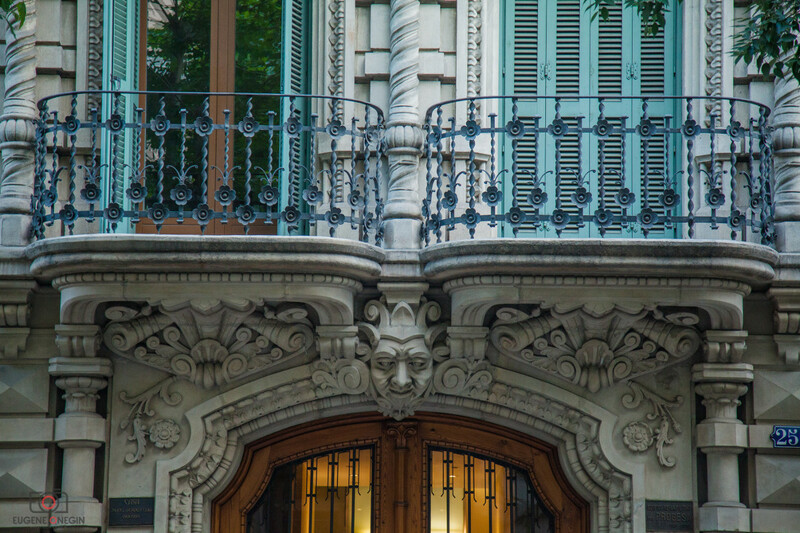 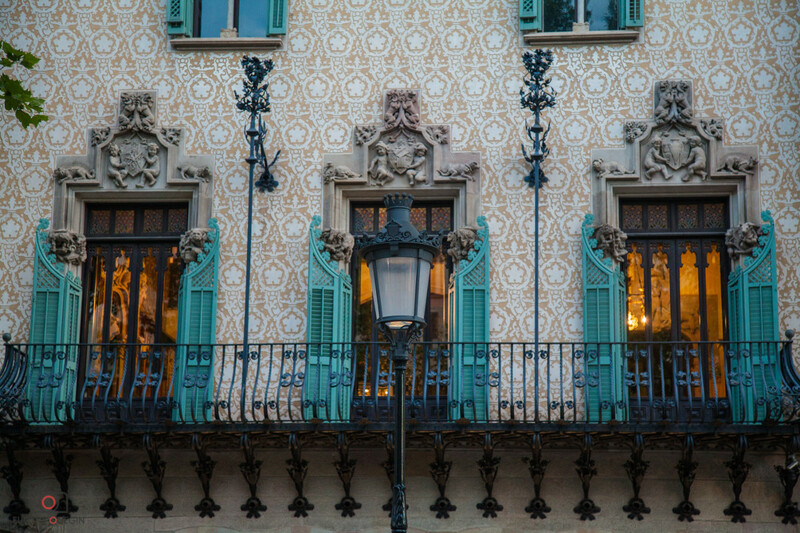 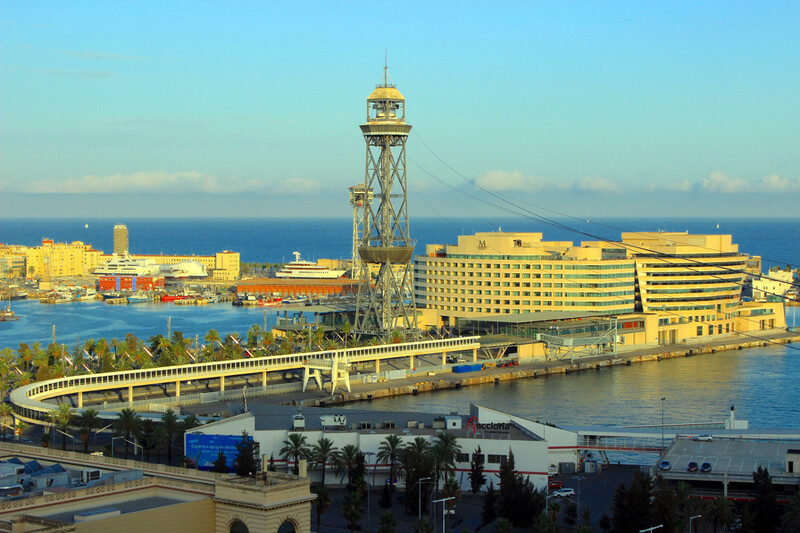 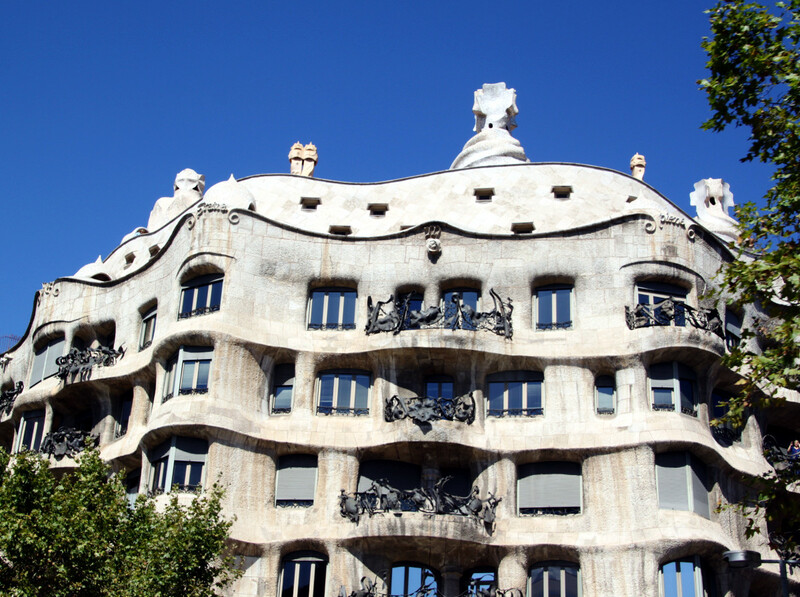 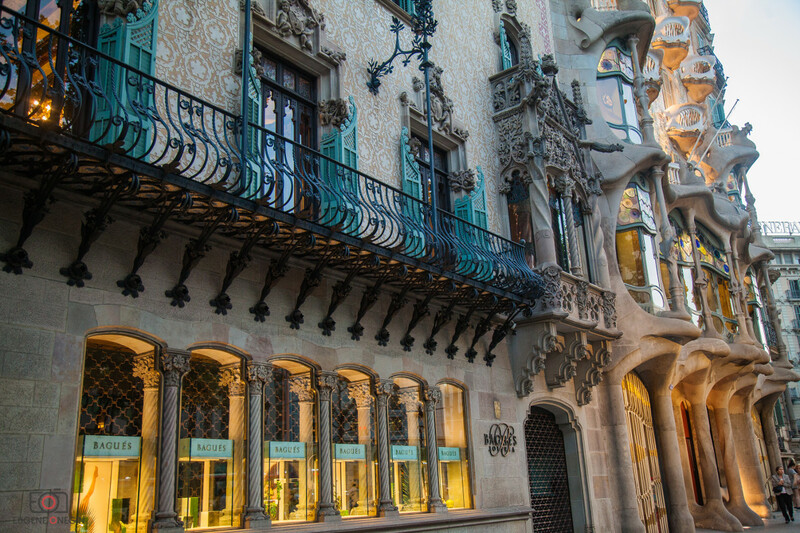 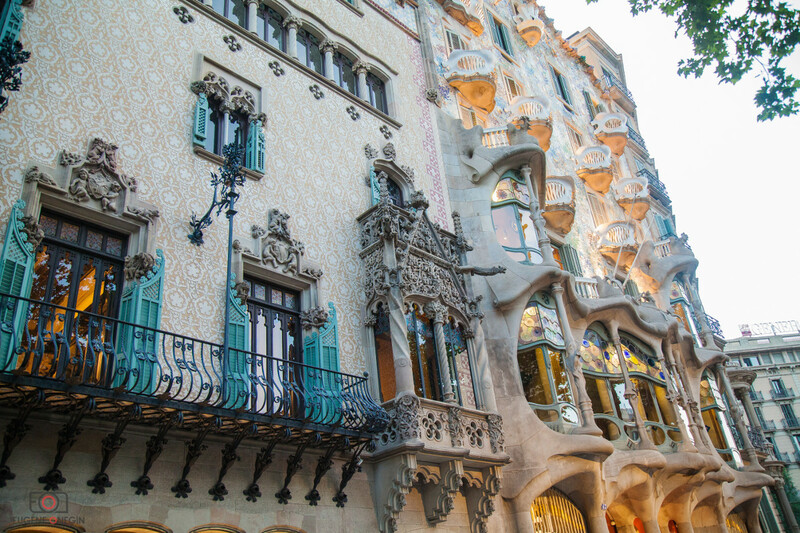 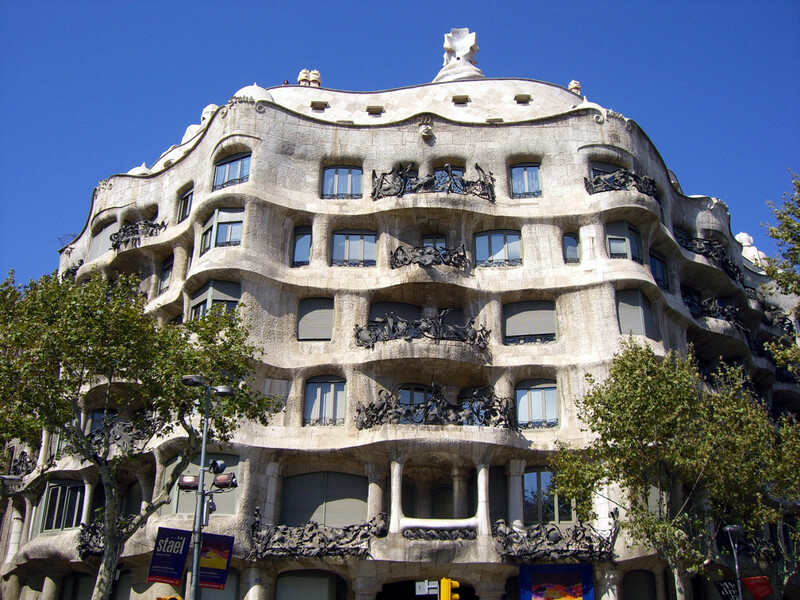 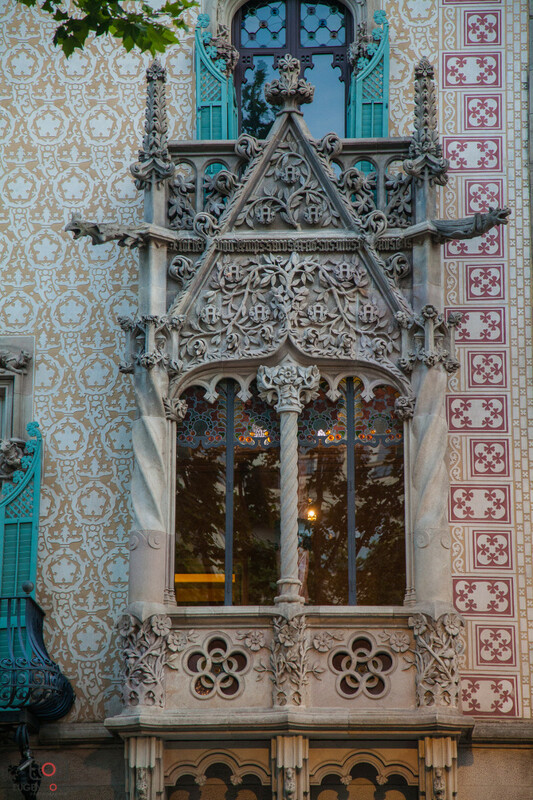 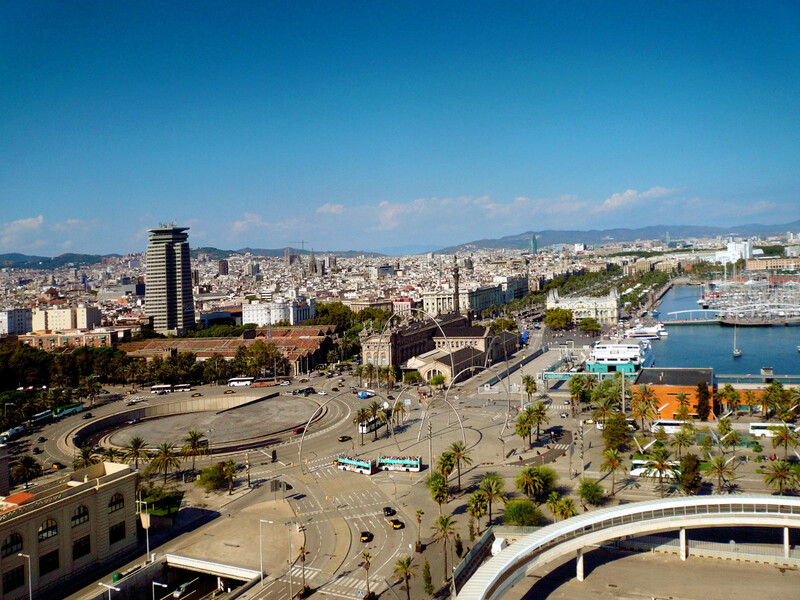 Barcelona – is a vibrant city of fashion, passion and a place of great inspiration. 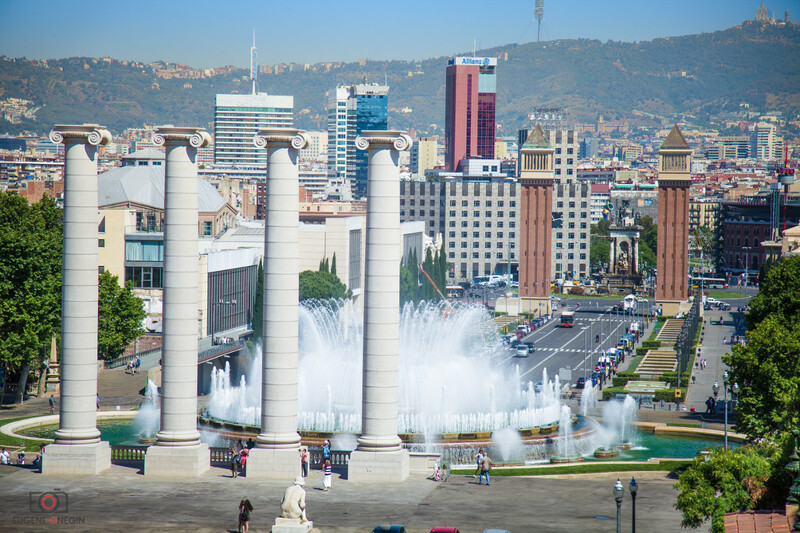 Barcelona - city of discoveries and countless adventures awaits you! 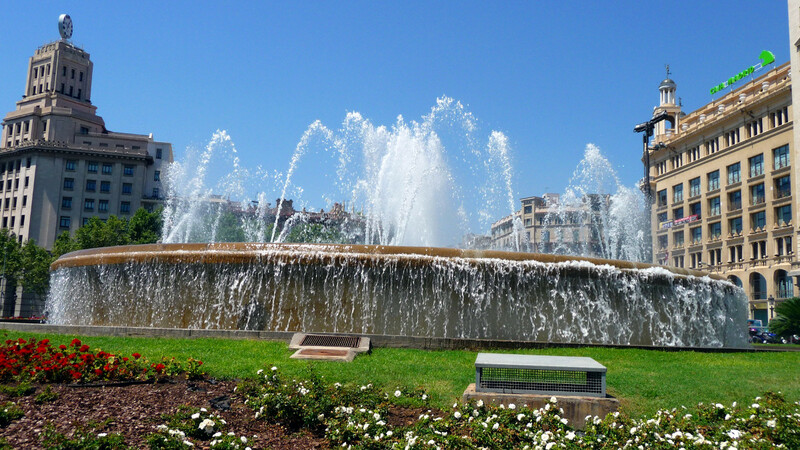 Our exploration of the city will start with a visit to the Olympic Port, which was built for the Olympic Games in 1982. 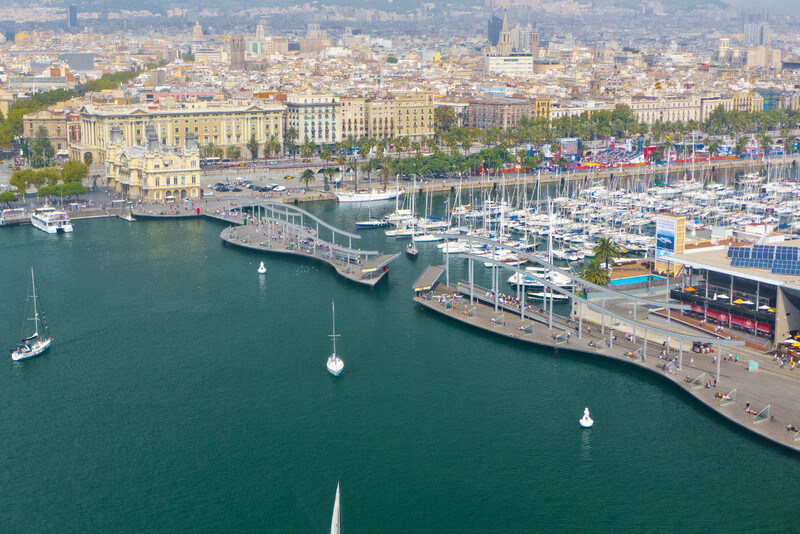 Then we will drive through Barceloneta – the fishermen’s neighborhood, with magnificent beaches and the famous restaurants which serve fresh marine cuisine. 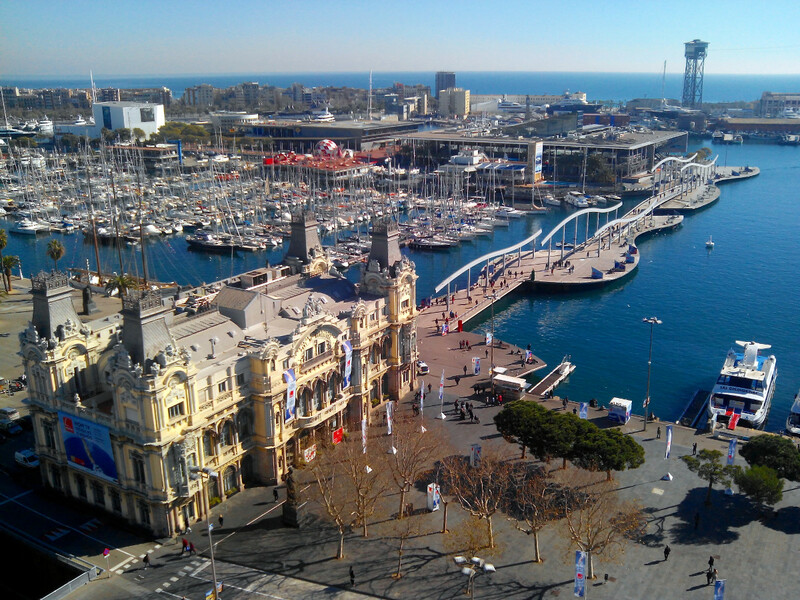 People all over come here to try this place’s specialties: the lobster, sea urchins, shrimps and squid. 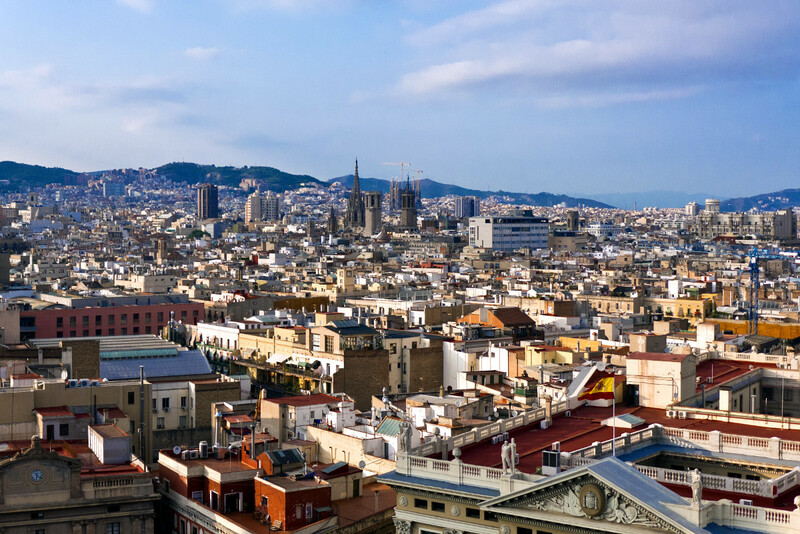 If desired, during your free time, you will be able to try these delicacies: Pulpa a la Gaega (octopus), Zarzuela (roasted fish), calamares a la Romana (squid). 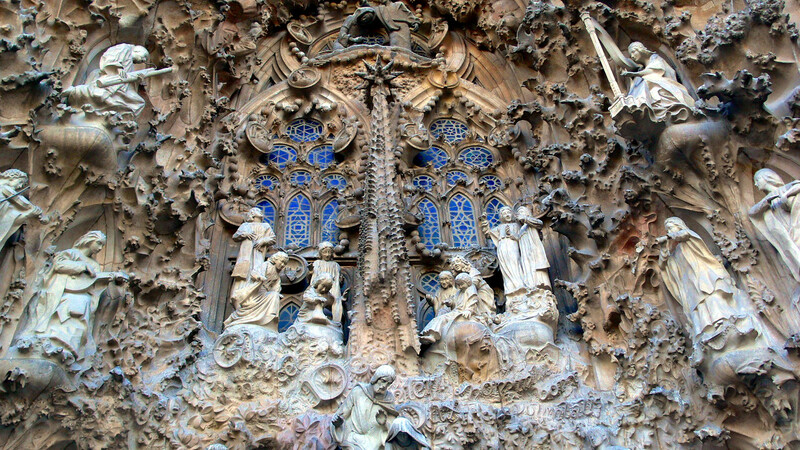 The next stop will be an exceptional place of worship, which creation is being continued and was already witnessed by five generations – the famous Sagrada Famila. 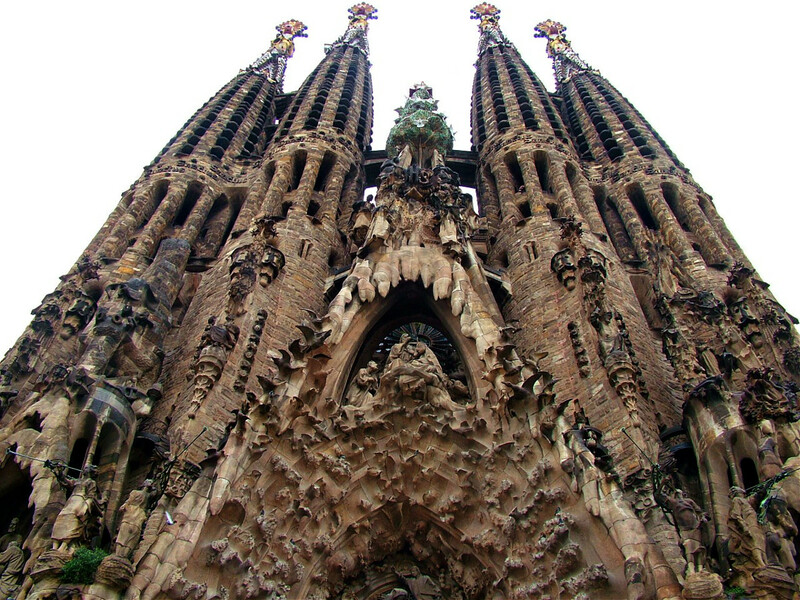 A Cathedral designed by one of the greatest architects Antonio Gaudi. 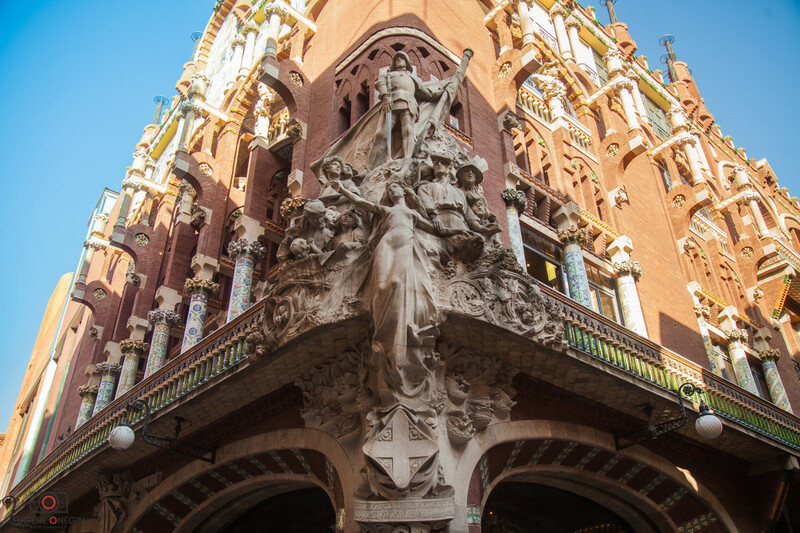 The guide will walk with you explaining the biblical meaning of signs on the facades, and show the flow of time and change of style in architecture. 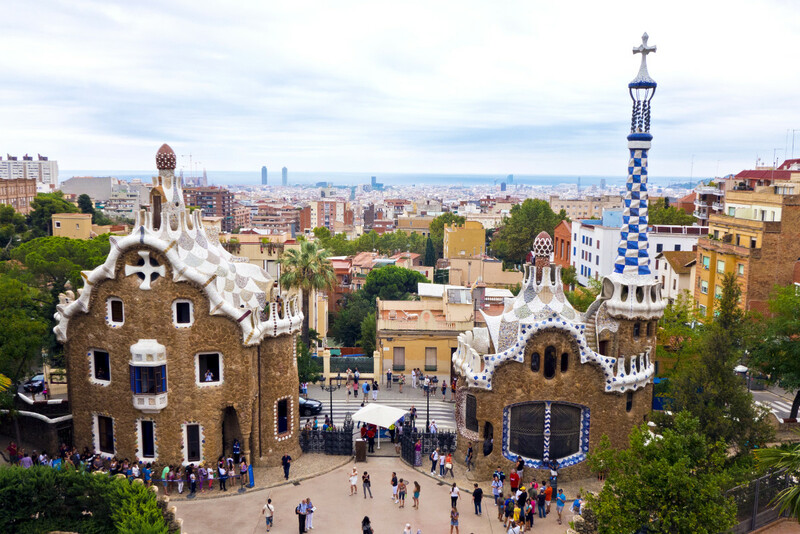 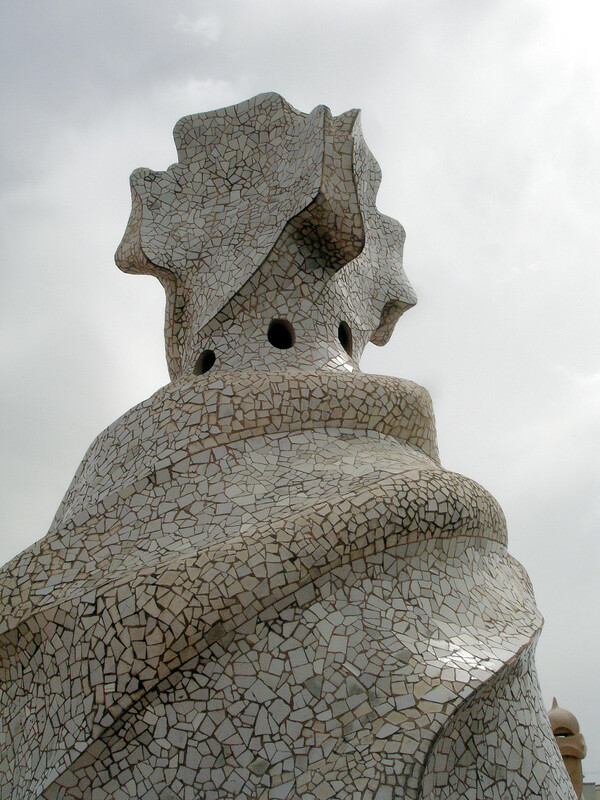 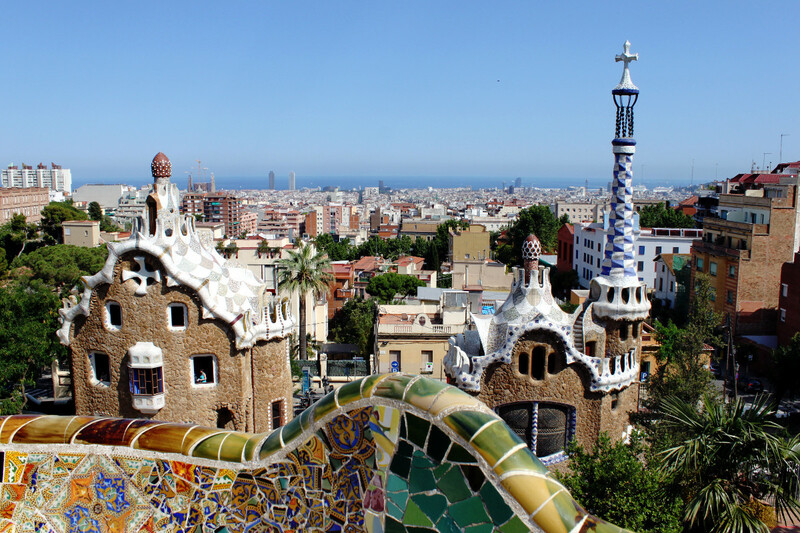 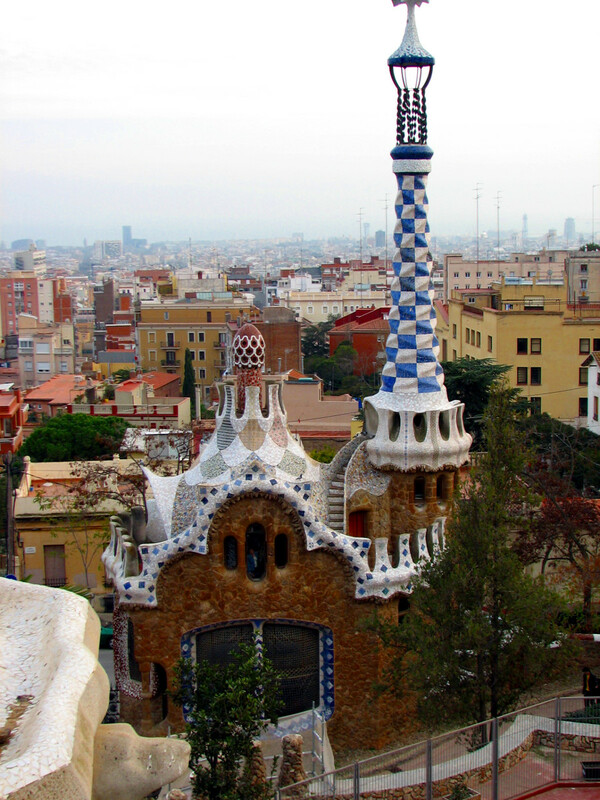 The Park Güell will be visited next, where many wanders can be found. 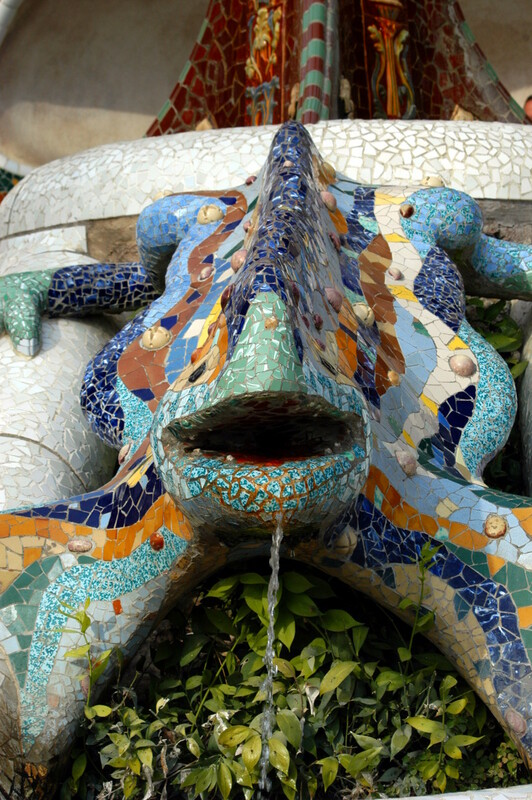 Such as a stone dragon which can fulfill your wish and the world’s longest mosaic bench, also miniature houses of different shapes and forms. 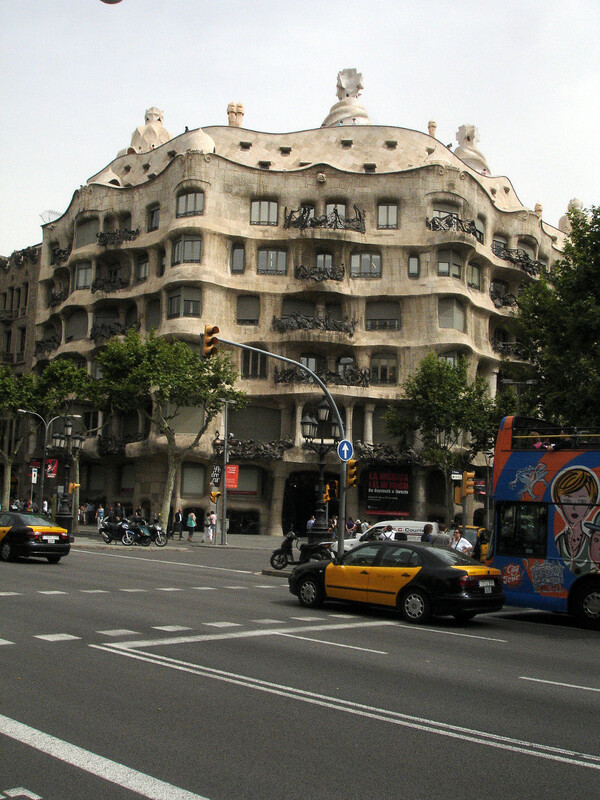 After the walk in the Park Güell we will head to the center, through Paseo de Gracia and its great architecture which will be commented by our guide, Placa de Catalunya - where you will have 3 hours of free time. 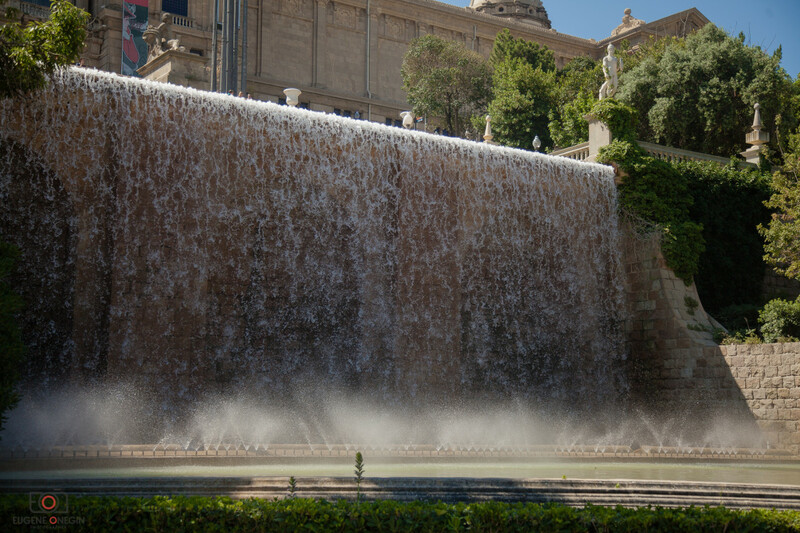 And this is when you’ll want your watch to slow down, as you will be enamored with that place! 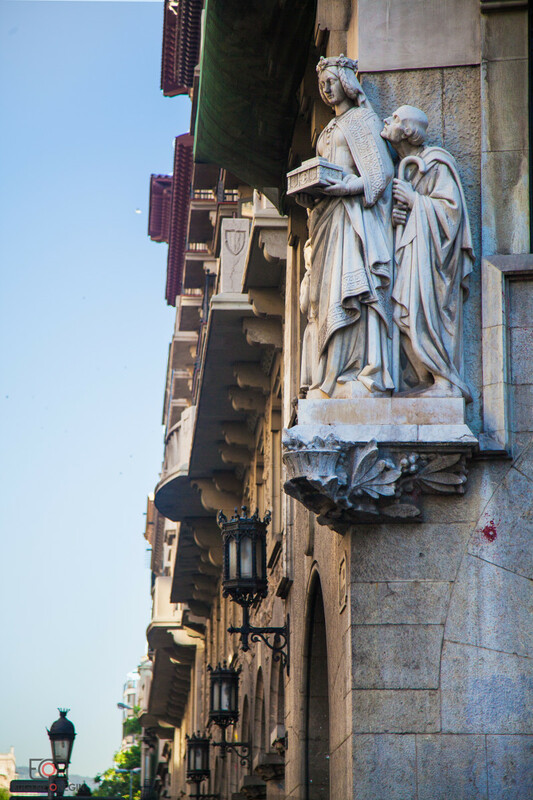 Walking through the Gothic Quarter will show you the Medieval side of the city. 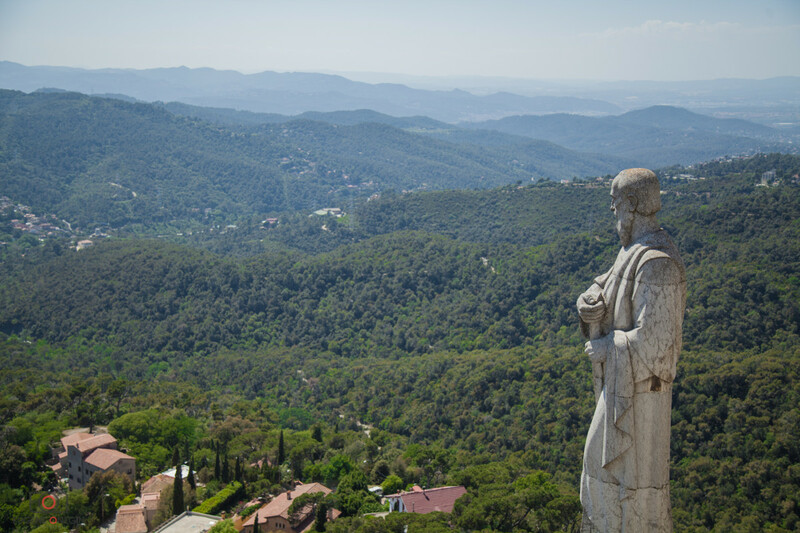 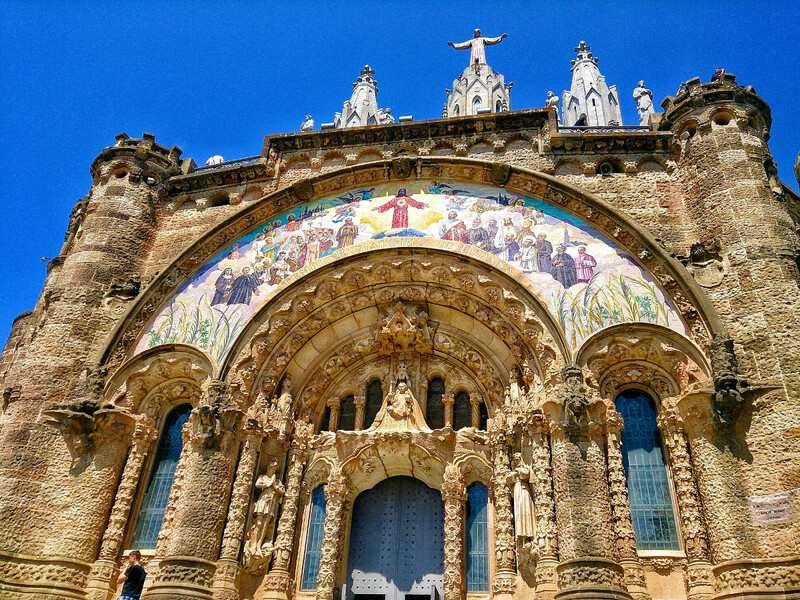 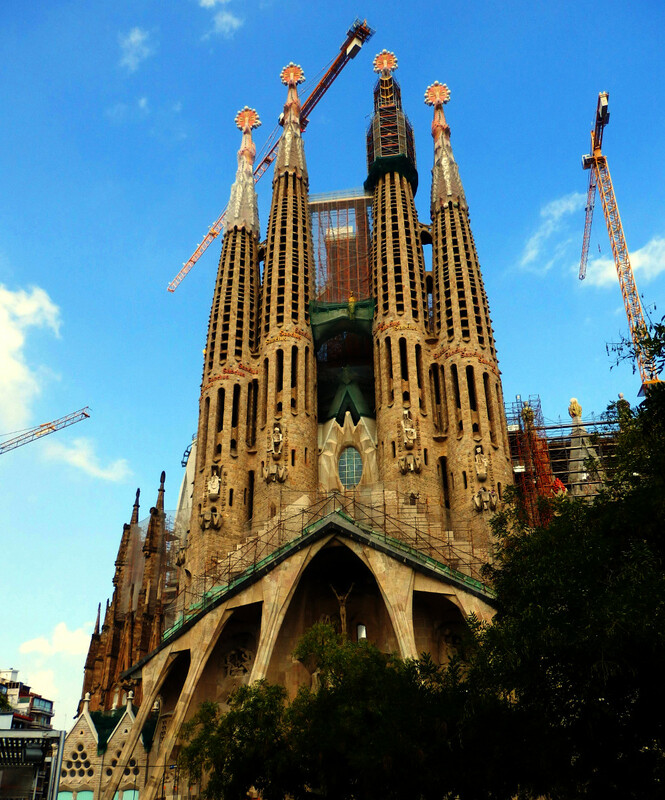 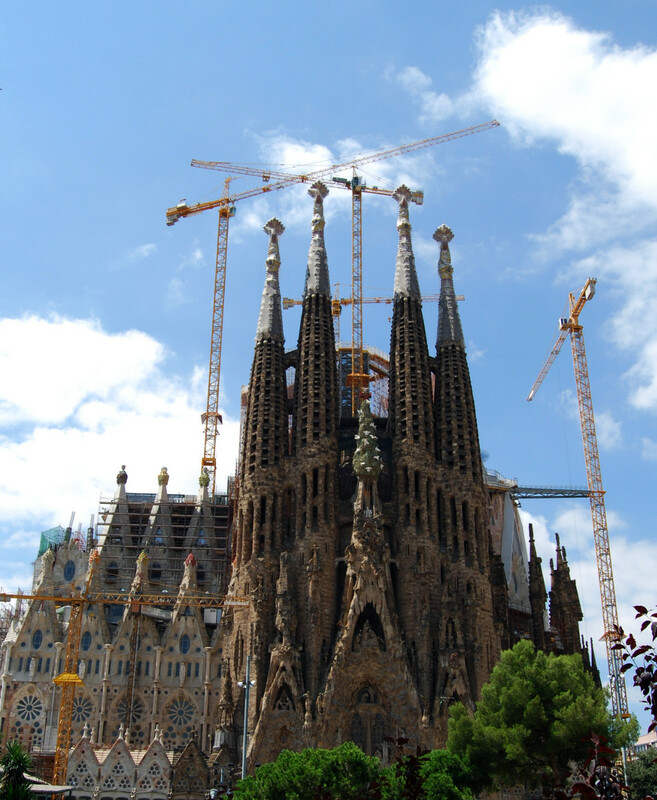 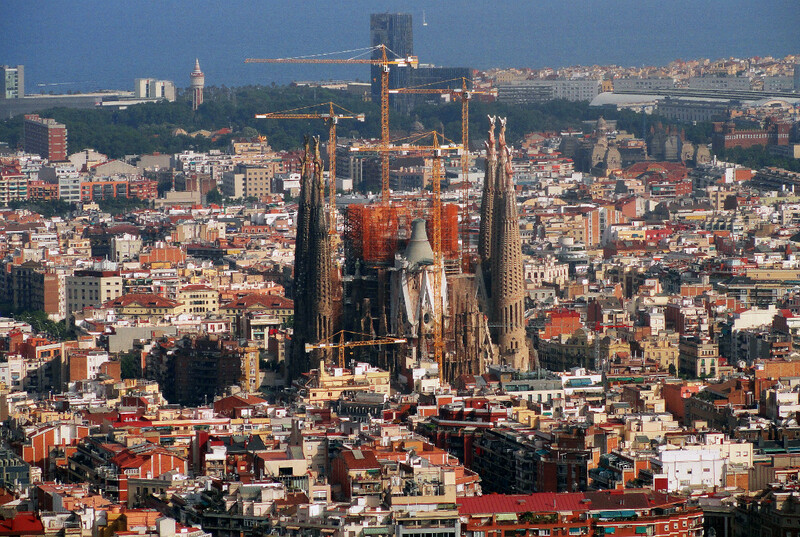 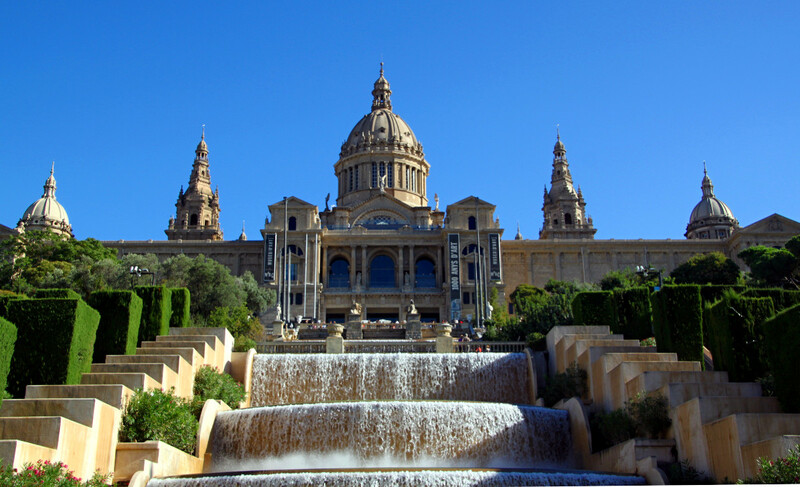 One of the many must see places is Barcelona’s breathtaking Cathedral of The Holy Cross. 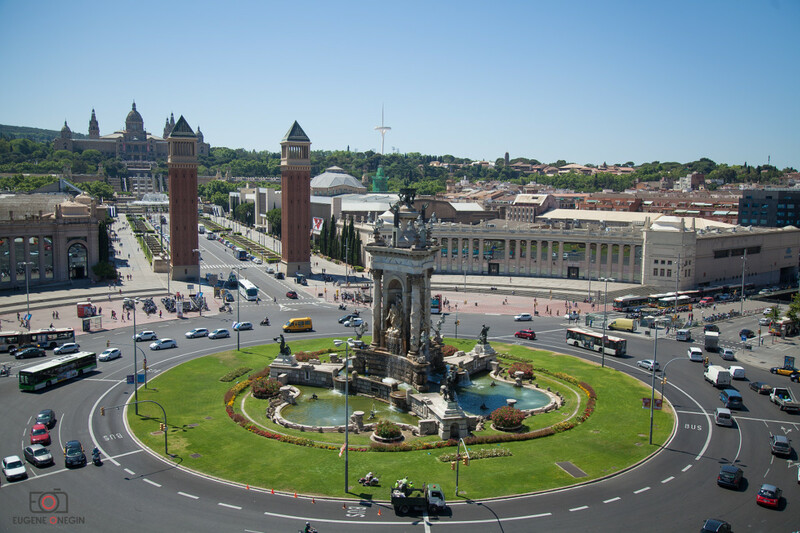 Another one is a famous King’s square, where many laws were brought to life and also it is the place where Christopher Columbus was greeted by the Kings in 1492. 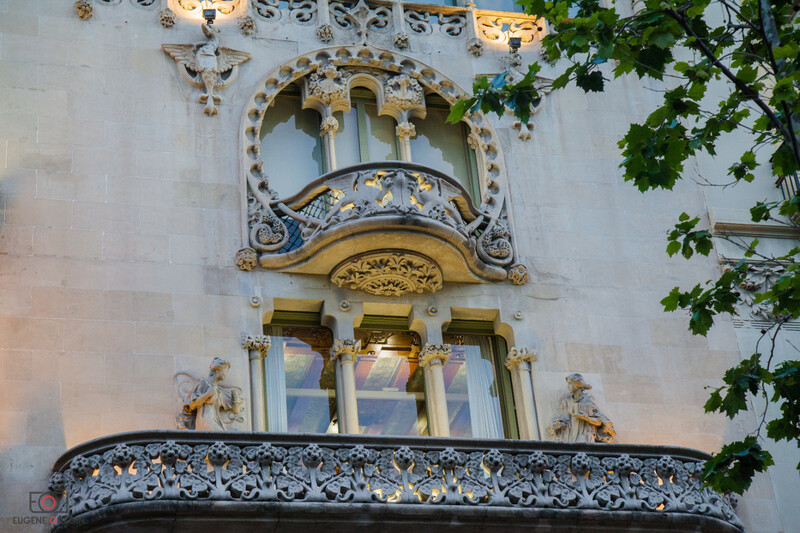 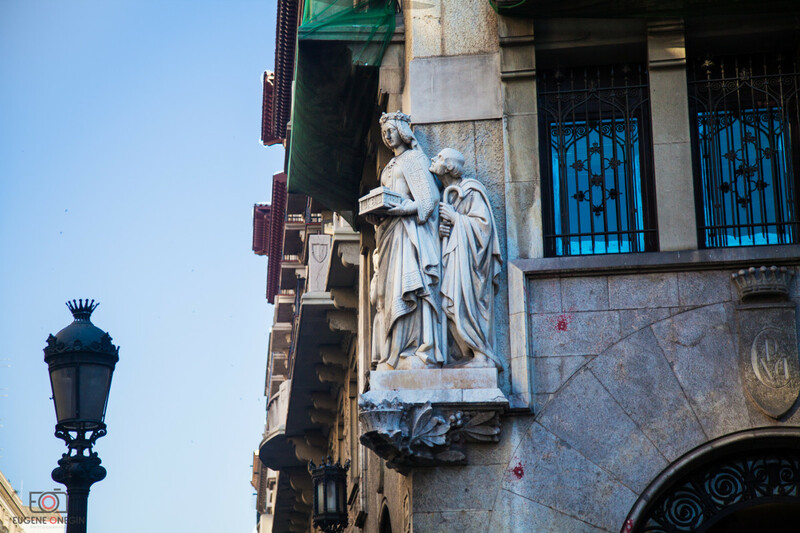 Do not forget to explore the Las Ramblas which leads to the Christopher Columbus Monument and a city port, enjoy walking through its flower section or get a drawing from one of the many artist. 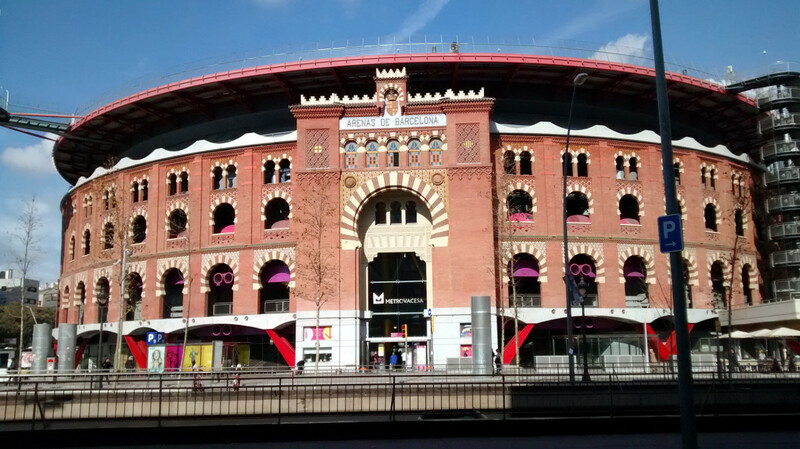 Have a look at the famous La Boqueria Market, where freshly done smoothies, fruit salads, famous jamon and many more gastronomic pleasure awaits you. 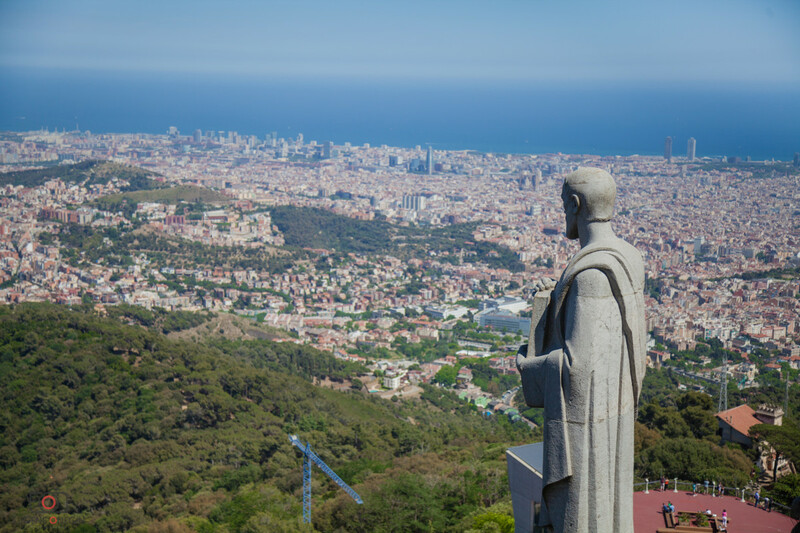 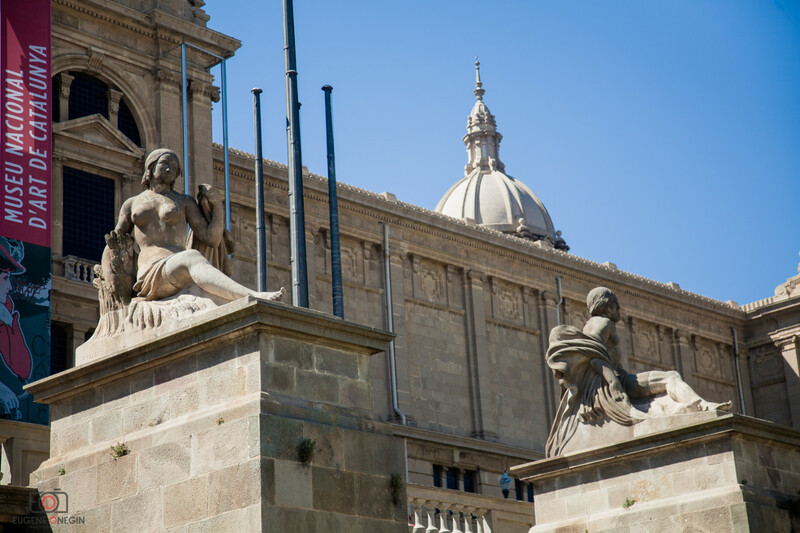 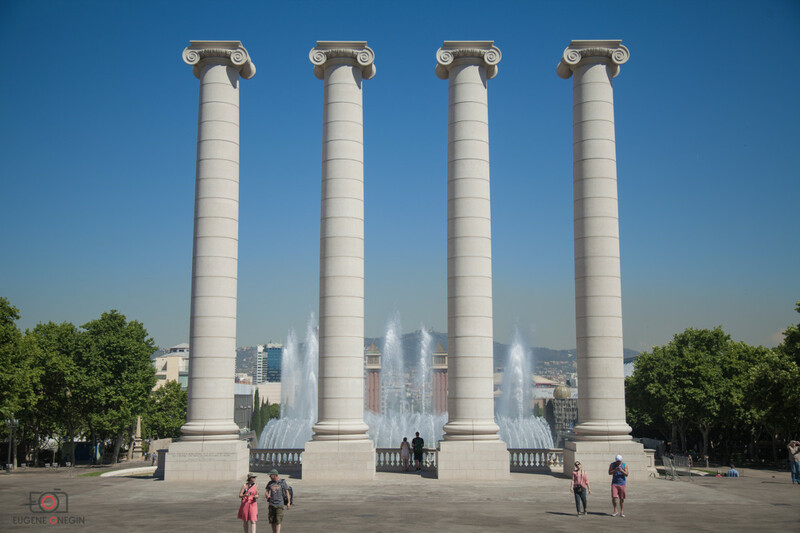 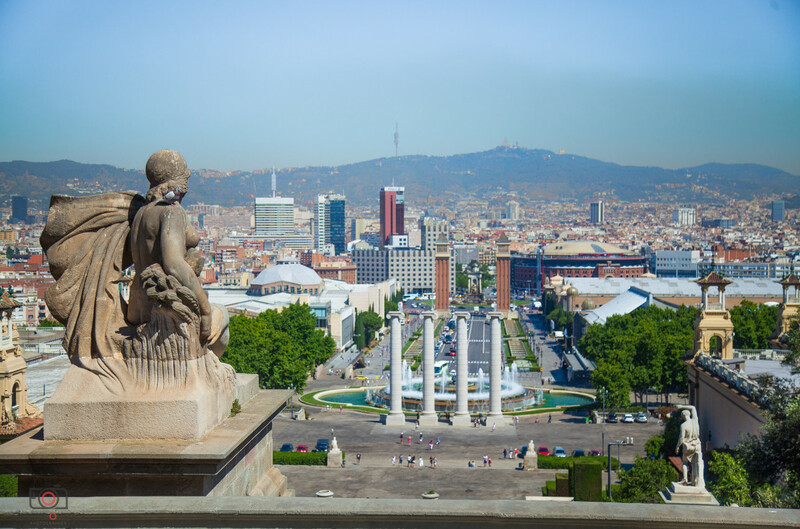 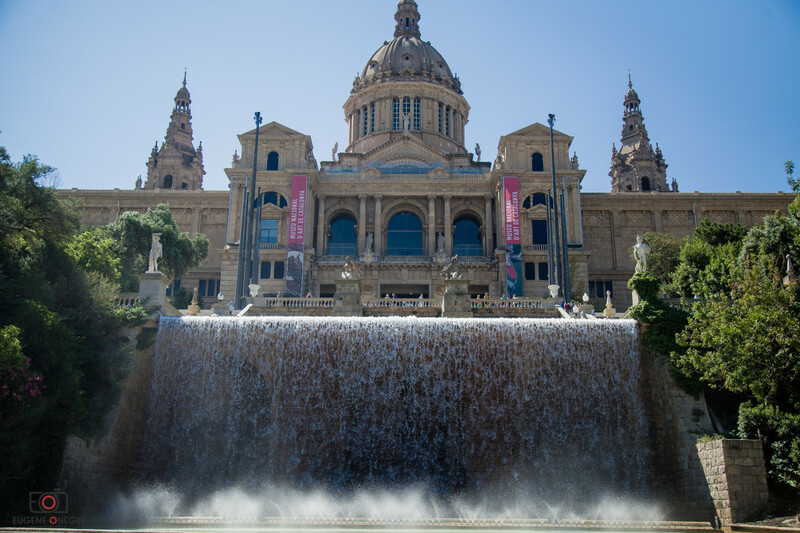 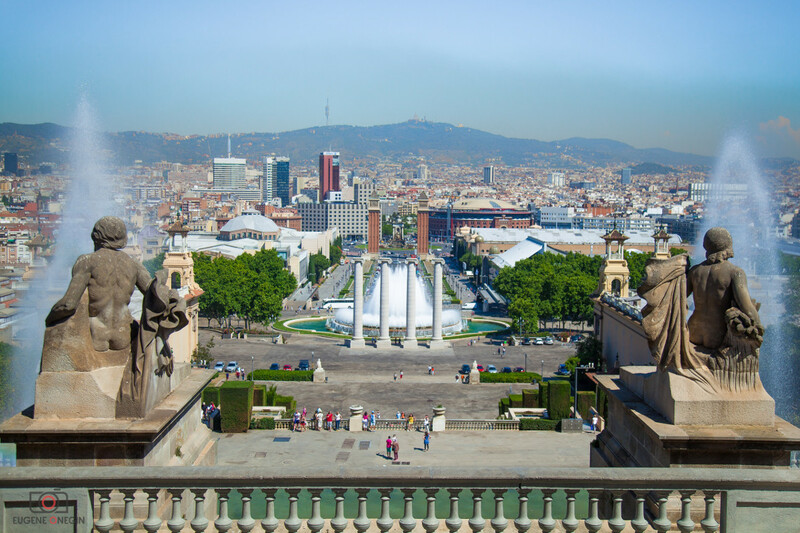 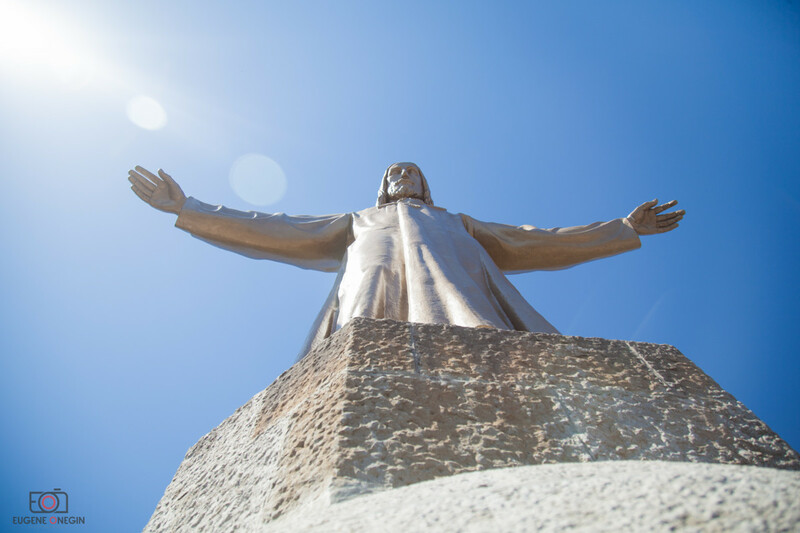 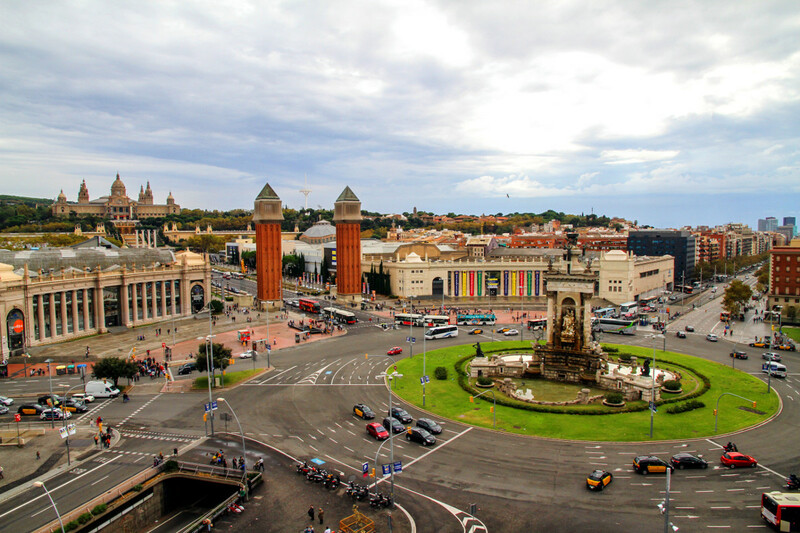 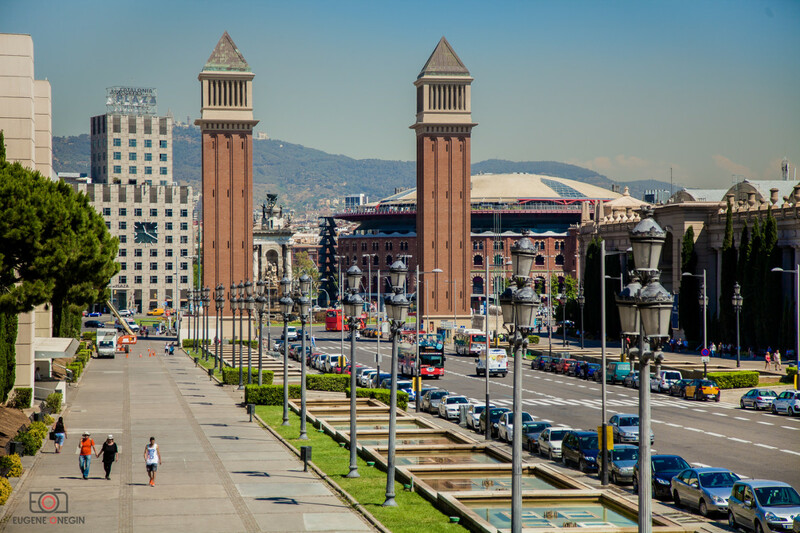 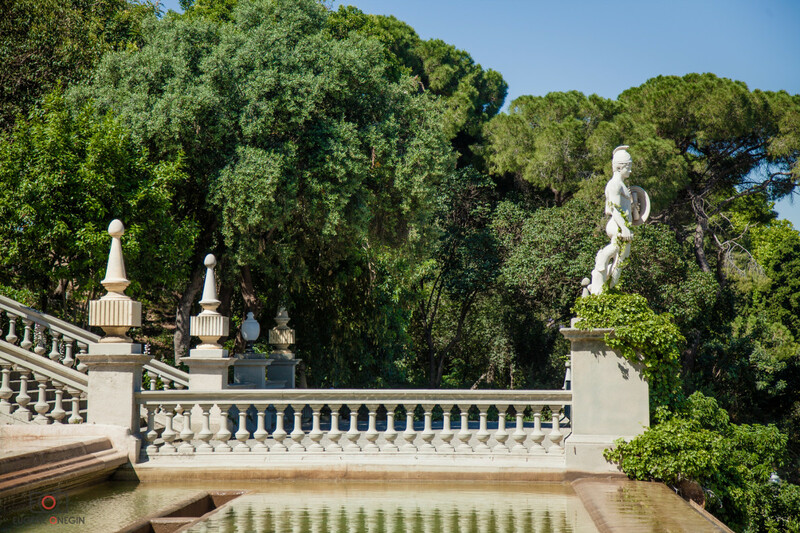 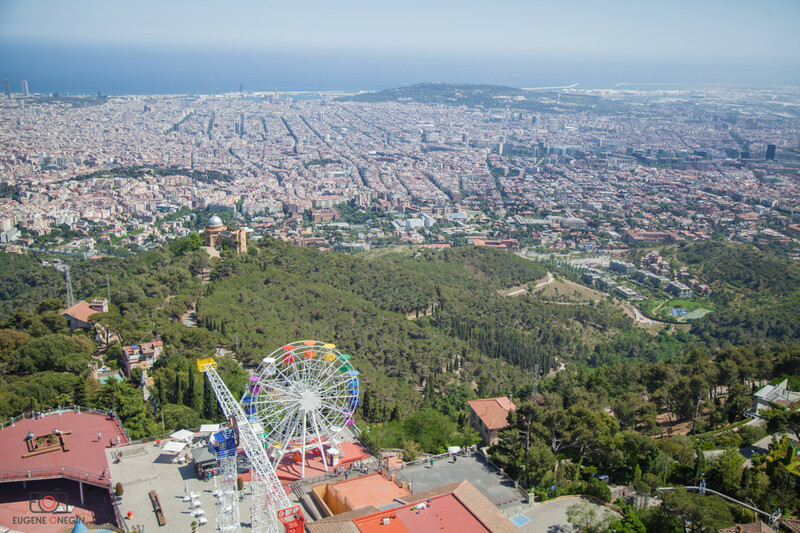 However, this is not all, to conclude our tour we will head to the mountain Montjuic where you will be able to get a great panoramic photo of all Barcelona and later enjoy a stunning performance of the light and music fountains! 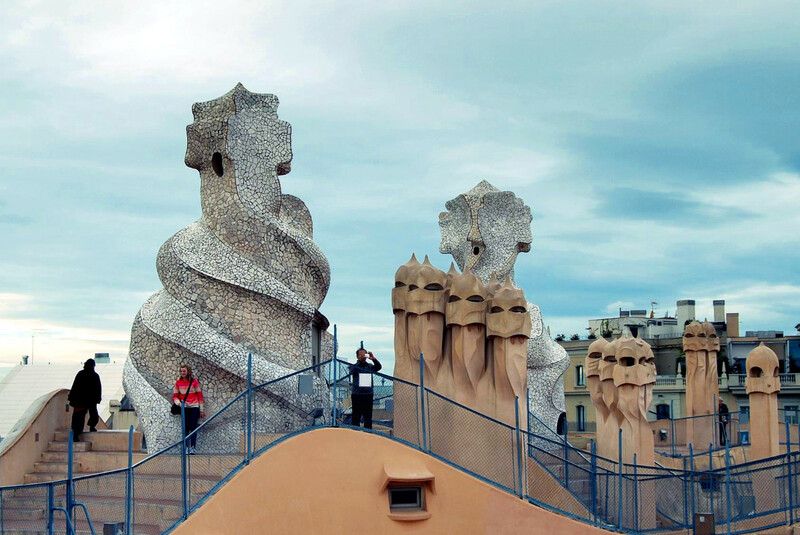 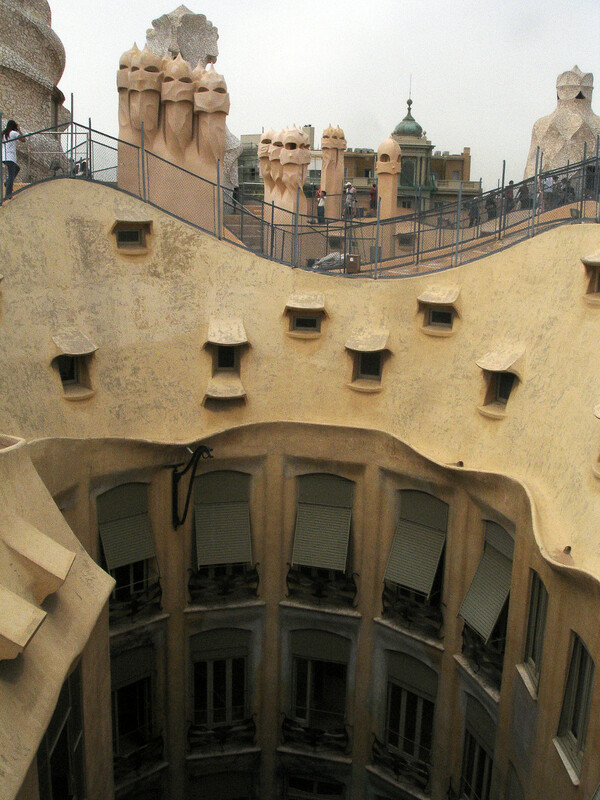 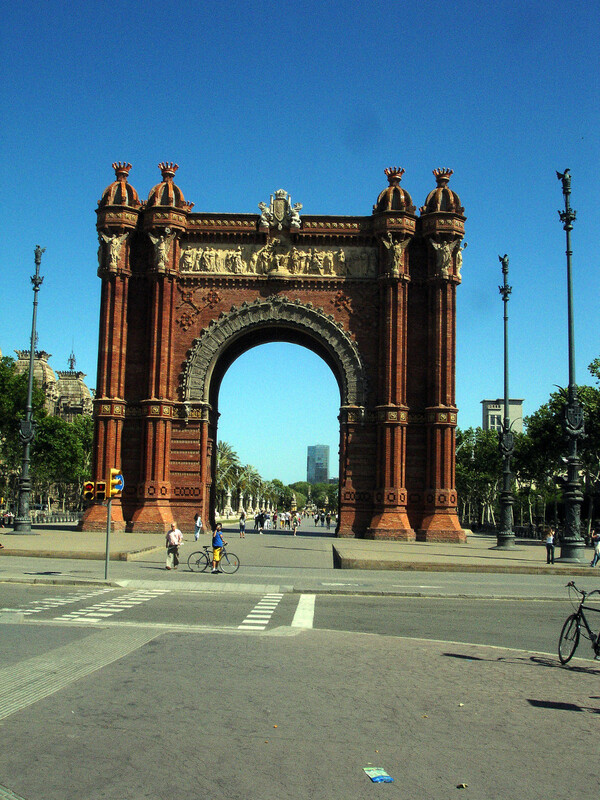 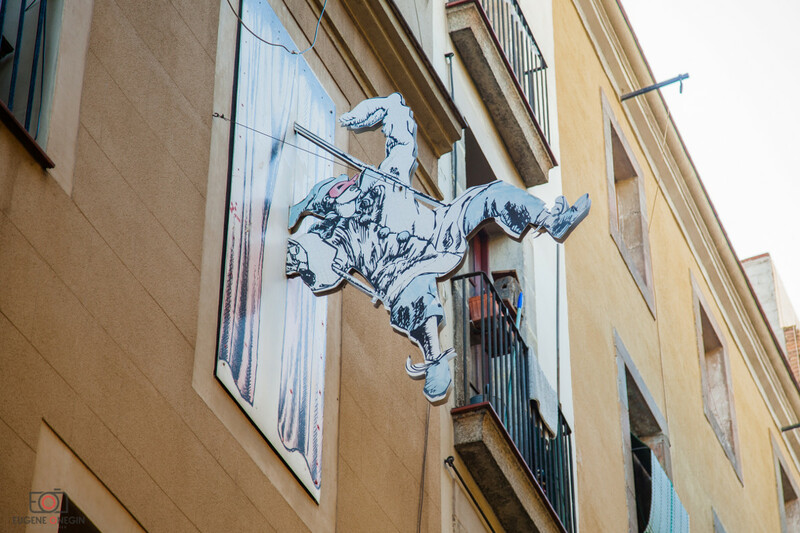 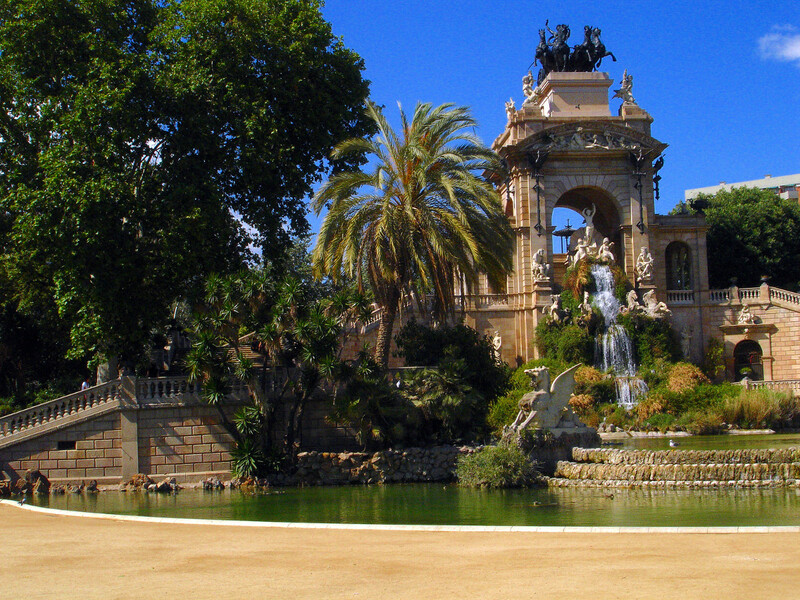 - - Take a camera to take photos of your adventures in Barcelona! 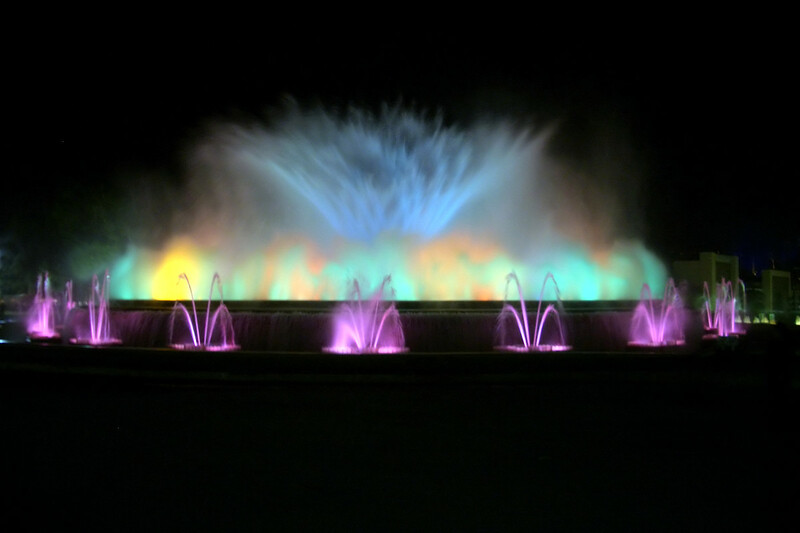 - - Grab a jacket with you as it might be slightly cool at the evening next to the fountains. 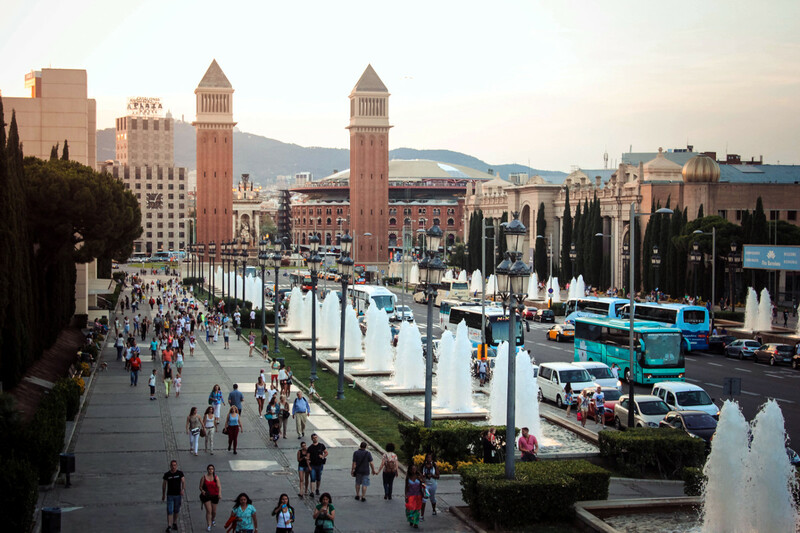 - Don’t forget your pocket money to get great souvenirs for the family and those stuck in the office back at home.